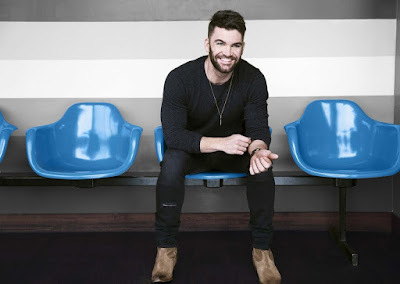 Curb Records’ recording artist Dylan Scott is set to make 2017 his breakout year, starting off strong with impressive new stats and a red-hot single. Featuring his rumbling vocals and a romantically-charged real-life love story, Scott’s current single “My Girl” has now surpassed 1 million stream equivalent songs (SES), a combination of on-demand streaming and digital downloads. “My Girl” has been streamed over 19 million times on Spotify alone, with SES having topped 300,000. Radio listeners have also taken notice, boosting the song to #34 on Country Aircheck’s MediaBase Country Radio Airplay chart – the highest position of Scott’s career to date. Written by the Louisiana native about the woman who became his wife, Scott says the tender story behind “My Girl” was “10 years in the making,” going back to when the couple first started dating in high school. It mixes intensity and tenderness, and Scott’s romantic authenticity continues to resonate with country fans. He and Blair Anderson were married in May of 2016. Meanwhile, the rising star has also carried a strong touring presence into the New Year. After making his Grand Ole Opry debut and wrapping a successful opening spot on Lee Brice’s LIFE OFF MY YEARS Tour in 2016, Scott went on to perform in excess of 130 shows. He is currently playing select headline dates, and his first run of 2017 shows sold out in the key markets of Pittsburgh and Cincinnati. With nationwide concert dates scheduled through the summer, Scott will visit cities large and small in 2017 – from New York City to Peru, Nebraska.